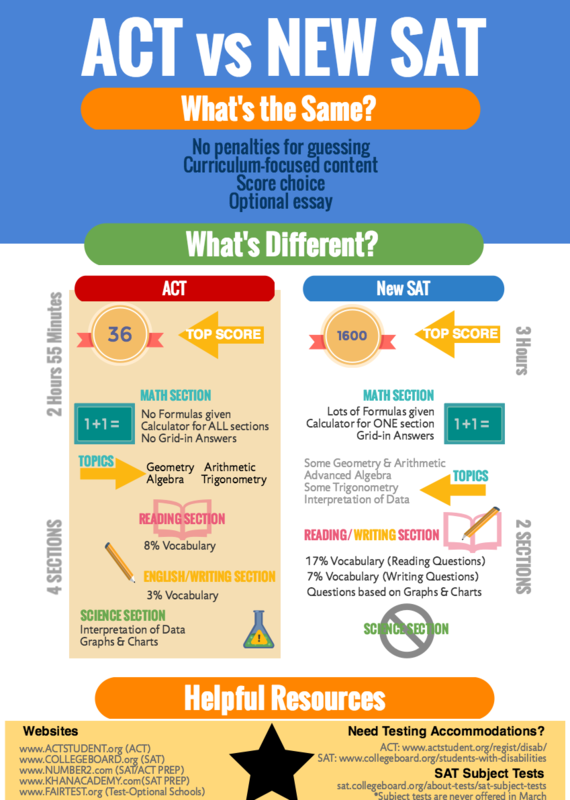 Standardized tests including the ACT and SAT are required for admission to all 4-year colleges. Scores on these exams are viewed as an extremely important component of the admissions process because all students are taking the same exam, thus giving colleges the opportunity to view their applicants evenly. Please utilize the resources provided to learn more about the exams, including test dates, registration fees, registration deadlines, how to understand your scores, and more.